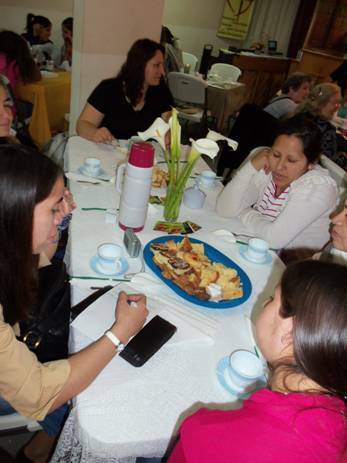 Praise the Lord for 90 ladies, 31 of them visitors, at our ladies’ tea! These visitors, many of whom we have prayed for their salvation for years, heard the Gospel three different times during the tea. Please pray for God to work in their hearts and that they would put their trust in Christ. 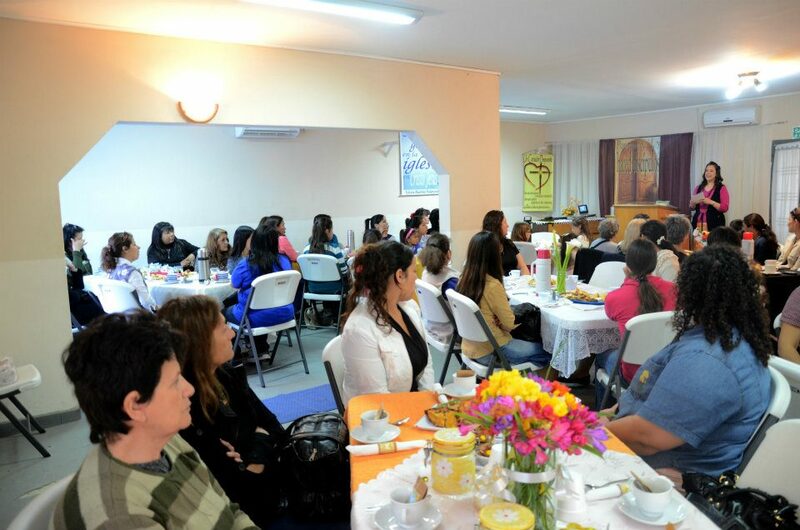 The Lord blessed our ladies’ evangelistic tea and specifically answered our prayers! The ladies were united in spirit, focusing on winning the lost visitors who came. There were 7 tables, each one with a hostess who was in charge of the setting and decorating the table, serving those at her table, as well as leading the discussion after the devotional with target questions. 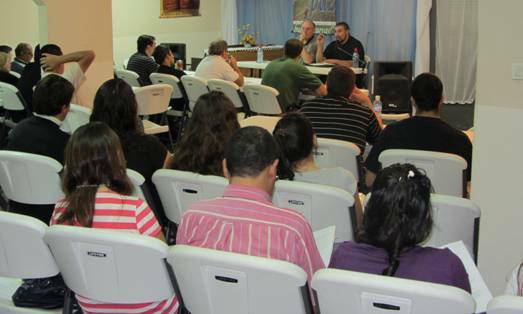 Our speaker was Raquel Dominguez, a dear friend and pastor’s wife in a sister church where we spent our first term. She did an excellent job of teaching on mothering and fully explaining the Gospel. She brought about 20 or so ladies from her church, so there ended up being about 70 ladies all together. 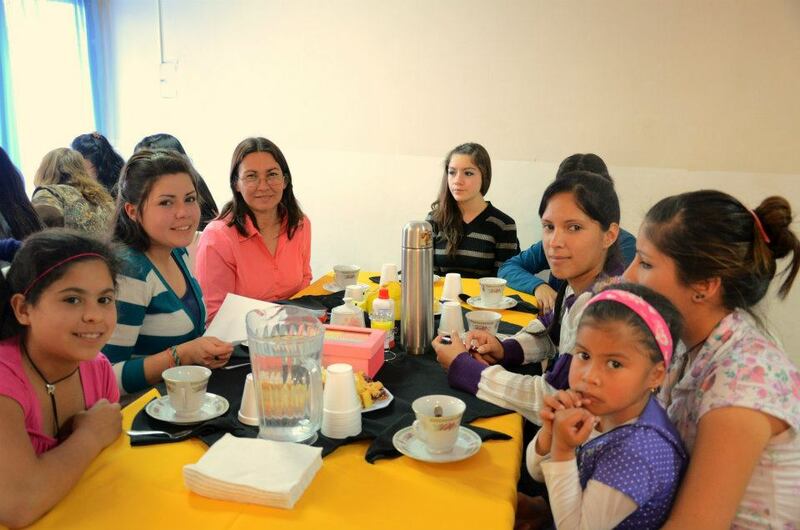 About ten of them were unsaved contacts – friends, family members, neighbors – from Pilar who our church people brought. 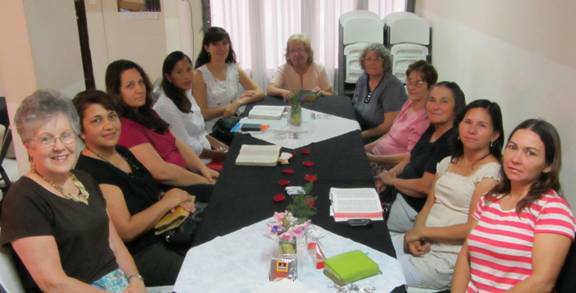 Praise God for these ladies who heard the Gospel! Pray God’s Word would penetrate their hearts!